A non-refundable deposit of 50% in U.S. Dollars per person must be received within 24 hours to hold reservations. Additional deposit requirements may apply to hold reservations with certain accommodation providers and/or tour operators. Full payment must be received 60 days prior to departure. For bookings made within 60 days of departure, full payment is due immediately. Once your itinerary is confirmed and your initial deposit is received any subsequent changes will incur a charge of $25.00USD for each change up to 60 days prior to departure. From 30- 60 days prior to departure an additional fee of $100.00USD will be assessed. No changes permitted within 30 days of departure. The cancellation of one itinerary and booking of another is considered a change. GlaciersArgentina.com and it's agents, co-operators ad co-sponsors, and all employees shall not be responsible for personal injury, or property damage, loss, accidents, delay, irregularity or change of itinerary incurred by any person arising out of the act of negligence of any direct or supplemental air carrier, hotel or ground operator, or other persons rendering any services or accommodations being offered. 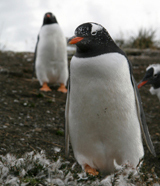 GlaciersArgentina.com will not accept responsibility for losses or additional expenses due to delay or changes in air or other services, sickness, strike, war, quarantine, pilferage, monetary crisis, political or social unrest, labor problems, weather, climatic aberrations, local law disease or any act of God. Baggage and personal belongings are at the owners risk entirely throughout the journey. All quotes are subject to air and land arrangement availability and changes implemented by hotel, airline and tour operators. Costs of Passports, Visas, Argentinean Reciprocity Entrance Fee and other items of a personal nature such as laundry, unspecified meals and tours and other services not specified in the tour itinerary. Departure Taxes are not included and remain the responsibility of the individual. Clients/passengers electing to take advantage of sporting equipment or equipment offered by hotels and ground operators do so at their own risk. 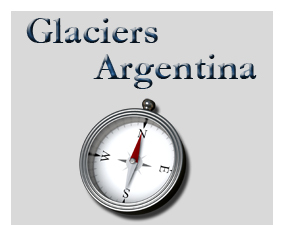 GlaciersArgentina.com will not be held responsible while equipment is in use by the client/passenger. No refunds will be made once your initial deposit has been received. No refunds will be made for any unused portion of the travel arrangements once travel has commenced. No partial refunds. Unused features or amenities are NOT reimbursed. You are required to have a valid Passport for entry to and departure from Argentina. Your passport must not expire within six months of your departure date from Argentina. GlaciersArgentina.com and participating airlines are not responsible if travelers fail to obtain all necessary travel documents. Please inquire with your local Argentinean consulate if you hold a passport from a country other than the United States of America as you may have to fulfill other requirements. Effective December 20, 2009 American Citizens visiting Argentina for business or tourism must pay an entry fee of us$131.00 to the Argentinean government at immigration upon arrival at Buenos Aires Ezeiza International Airport. Once paid the fee permits multiple entries into Argentina for 10 years in accordance with United States Visa Reciprocity. Americans may pay by dollars, credit card or travelers checks. Canadian citizens must also pay a fee however check with your consulate for details. Since your package is NONREFUNDABLE we recommend the purchase of comprehensive travel insurance prior to trip commencement.